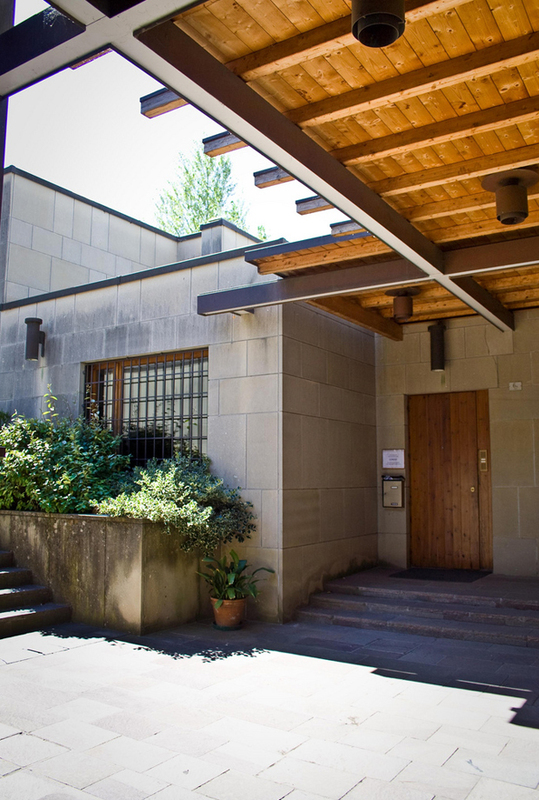 One side of the building (exterior) photographed by Francesco Di Capua. 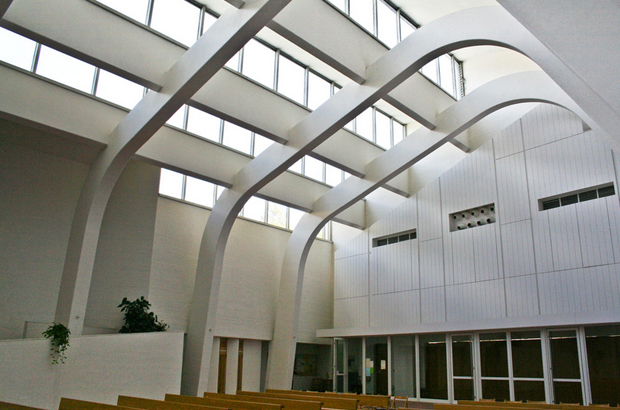 You probably already know this but I’m a massive fan of Finnish architect and designer Alvar Aalto, his works never fail to inspire and impress me. 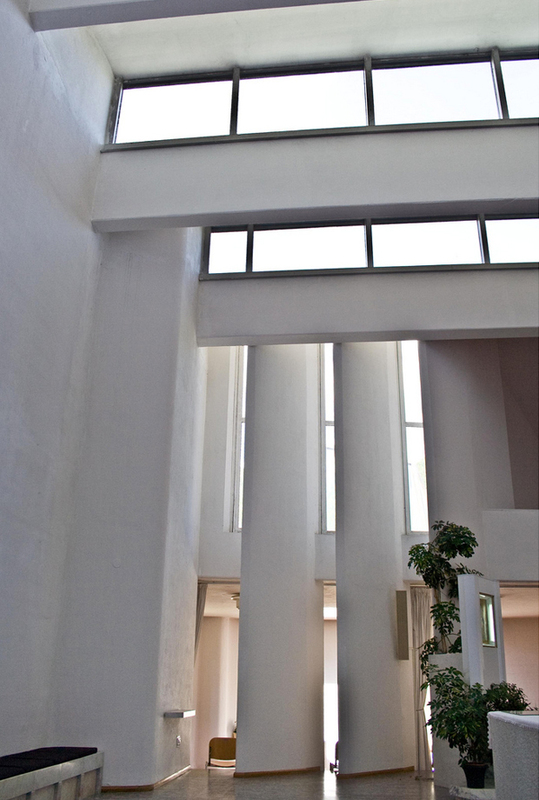 Also, every time I research the man I come across new information that I’ve never seen/heard before, the Alvar Aalto architecture file is a particularly great resource to use. A website that has fantastic explanations on every build that he’s ever designed from all over the world, they’re quite in-depth as well. This specific build was inspired by a recent video that I discovered on Vimeo by Leopoldo Llorente Avanzini, who seems to work on a lot of projects that revolve around CGI mixed with architecture. He must mock these up on the computer, and although some of the proportions are not quite right I originally thought this was real (that’s how good it is!). Whatever way I think it gives you a fantastic view of the interior of building and what it’s actually like inside, the photos here that compliment are also brilliant. These specific ones showcased today were snapped by photographer Francesco Di Capua who lives in Napoli, I would recommend watching a short film that he produced which looks inside and around the building as well, if you’re really interested in this project. 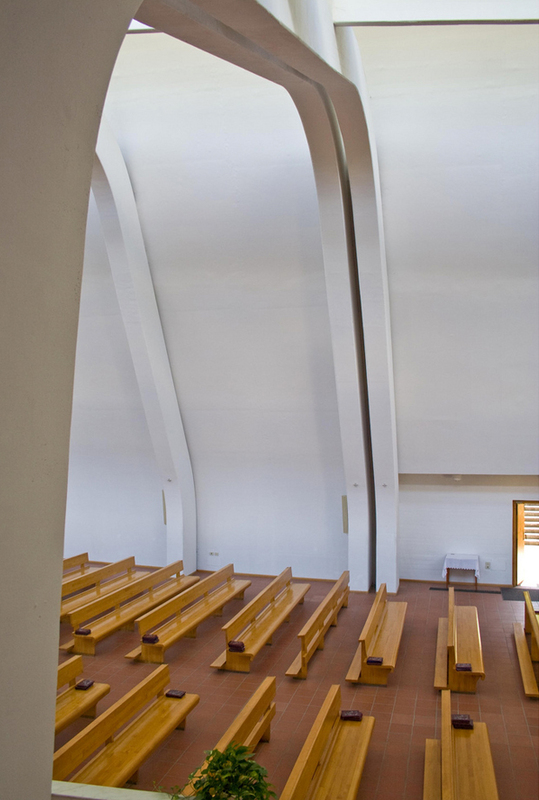 Moving onto the actual building itself, this church and parish centre is situated in the small mountain village of Riola di Vergato and was originally designed by Alvar Aalto himself. 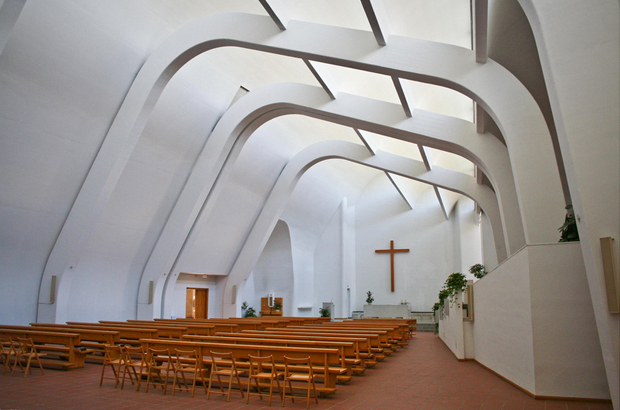 The Bishop of Bologna, Cardinal Giacomo Lercaro, asked Alvar if he would design a small church, he agreed and in 1966 completed the plan which showed the church and parish centre in its final form. 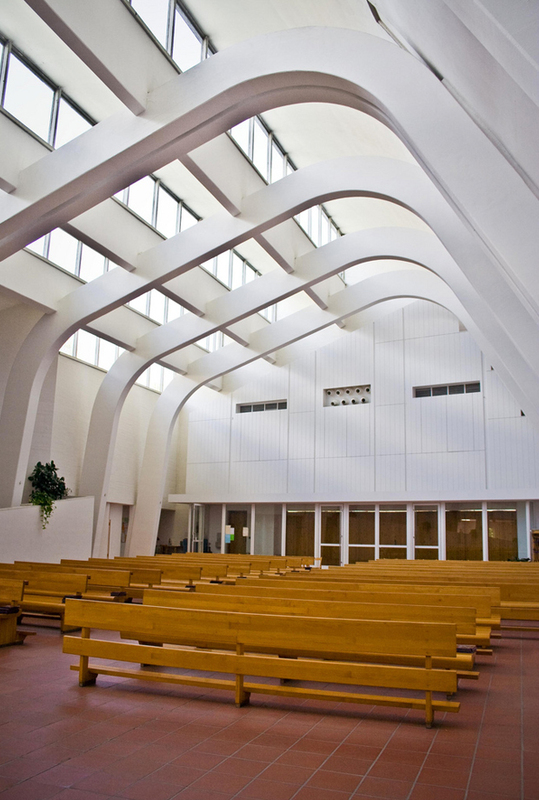 Aalto wanted to create an enclosed piazza in front of the church which would enable thousands of people to congregate for major religious festivals, he also came up with the idea of dividing up the church with gigantic sliding walls, these are hidden and are only used when needed. Pretty genius if you ask me. On a personal note one thing that struck me was the use of light. A lot of people say that light makes a world of difference in a building and this is definitely the case here. 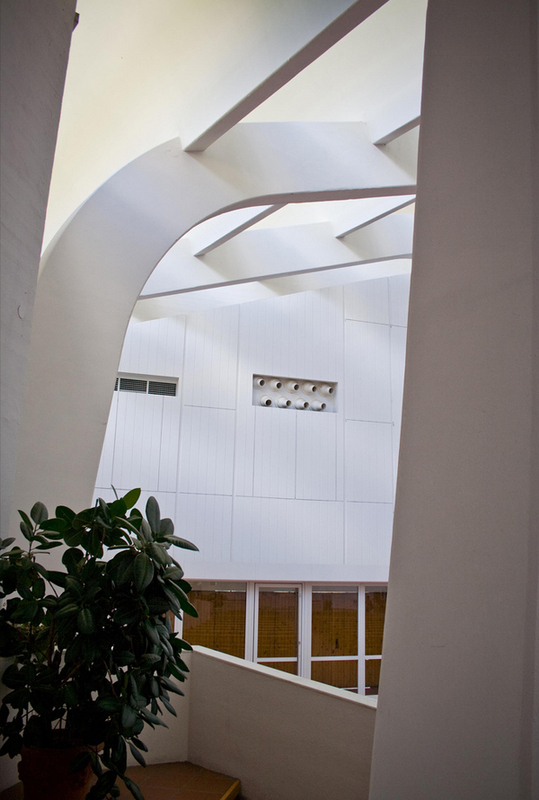 You must get some incredible shadows bouncing around those white walls thanks to the oddly shaped supports that run across and along the ceiling, such a stunning form both inside and outside. I also love the use of wood and greenery inside, it makes for a clean setting that’s both quirky and that has character, overall a stunning piece of architecture that would be delightful to view in person. Since I’ve not viewed it myself in person I’m stuck with these photographs and the video, which you can view below, if you’re feeling adventurous I’d definitely recommend heading out to Italy to explore this place and the surrounding villages. Glorious mix of greenery and wood, both natural elements, against the contrast of white curved and geometric walls. Inside the main seating area of the church. Again you can see all the structural elements, windows on the left tile all the way up to the ceiling offering ample light. 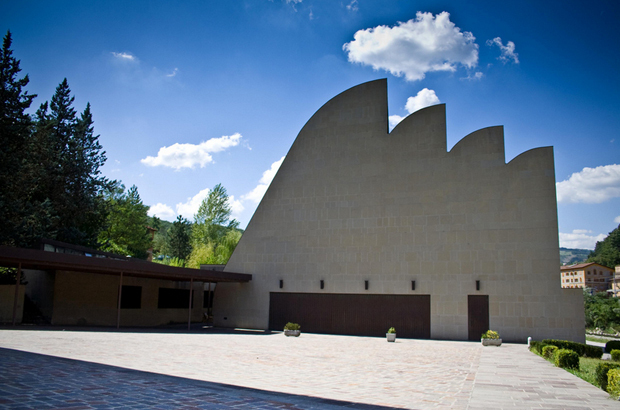 The outside piazza, now named “Piazza Alvar Aalto”, which is enclosed for humans to congregate at religious events. Bold lines which are both aesthetically pleasing and structurally important, no hidden elements. Notice the furniture which was designed by Alvar Aalto himself. Separate dividing elements, both horizontal and vertical windows at corresponding angles, truly showing the genius of Alvar Aalto’s work. The whole church captured in one shot, quite intriguing in my opinion how the structure appears to slant to one side. This is due to the supports which lead the eye down and around.